$4.99 for 30 Day access! Click here to register. it is for Domestic United States Routes only, not international! What is Aviation Turbulence Forecast? Turbulence is the most common fear associated with the Fear of Flying, so lets talk about it. Turbulence can be caused by a number of things, differential in surface temperatures causing a rising of air, the Jetstream, Weather Fronts, Thunderstorms or even other planes! What you need to understand through Aviation Turbulence Forecast is, turbulence is a very normal phenomenon, and it would be more uncommon for you to not have any turbulence, as opposed to experiencing some. Turbulence Got' You Shaken Up? 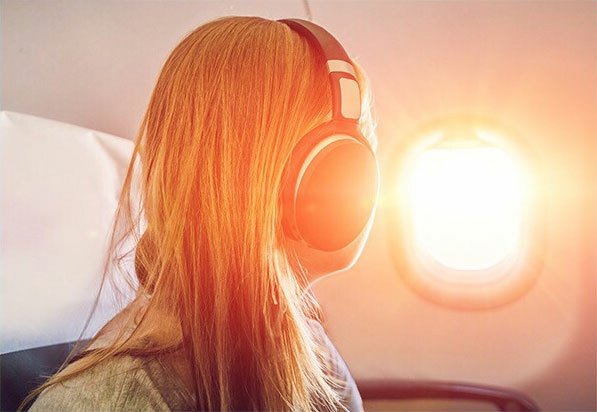 Distract yourself from the fear by listening to this audio relief course while in current turbulence. Learn what you need to know about turbulence to help you feel more at ease. Sit Back, Press Ploy and calm yourself down with this educational course. To Understand The Turbulence Forecast, see the reports on the left, click on the Weather Turbulence Map and it will tell you the classification (Light, Moderate or Severe), and it will also tell you the altitude and type of plane that reported this turbulence. Mountains, larger bodies of water, coast lines, warmer climates and flying in proximity to the Jetstream. Please, fill out the form completely. Instant access to Pilot Reports of Turbulence along your route of flight.1.99 for 30 Day access! Register above for the MyFlight Turbulence feature. If you anticipate turbulence, either leading up to, or during your flight, this feature is a must have for your travels. For just 1.99, you receive unlimited access for 30 days. Give it a try! Turbulence can be caused by a number of things, differential in surface temperatures causing a rising of air, the Jetstream, Weather Fronts, Thunderstorms or even other planes! What you need to understand is, turbulence is a very normal phenomenon, and it would be more uncommon for you to not have any turbulence, as opposed to experiencing some. FlyHome, the leading source in Fear of Flying Relief Courses, says that there is a very common misunderstanding when it comes to turbulence. Clients feel as if the plane is "Dropping" hundreds, or even thousands of feet. I can assure you, this is NOT the case! The body can give many false illusions while flying through turbulence, and the plane is not "Dropping", it is more of a shift that can happen vertically, or laterally, however, the plane is producing so much lift at the speeds that it is flying, that "Dropping", is not in the equation. To Understand the Turbulence Reports above, click on the Turbulence Report and it will tell you the classification (Light, Moderate or Severe), and it will also tell you the altitude and type of plane that reported this turbulence.